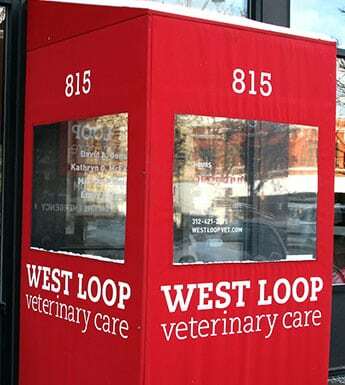 Initial Assessment and Follow-up appointments are held at West Loop Veterinary Care just west of the Kennedy Expressway in Chicago. Parking in the loading zone in front of West Loop Veterinary Care is reserved for West Loop clients and patients only. Metered parking can be found along Halsted St. and Washington Blvd. Valet parking is available along Randolph St. depending on time of day. Free parking spaces are extremely limited in the neighborhood due to construction. Parking apps such as SpotHero can assist in finding parking based on the date and time of your arrival. Insight does not have any exterior signage at this location. Please contact us if you will need assistance getting your dog safely into the clinic.